So here is the other half of the Endless Wishes collection. This part of the set are all again using my new Endless Wishes stamp set , 4 main ink pads, gemstones and standard card blanks/mats this time… Most of the cards are re-makes of popular class cards from the last 2 years, some are CASED or inspired by fellow team mates – and one is even a swap card from a fellow team mate…! Plus a few new ideas too…. CASE of a card I made probably 4 years ago. Changed thick striped ribbon then for Thick Bakers Twine now. A bit of Soft Sky sponging at the top. And of course my favourite wording from the Bright & Beautiful set again…. And my trees in a snow storm card! 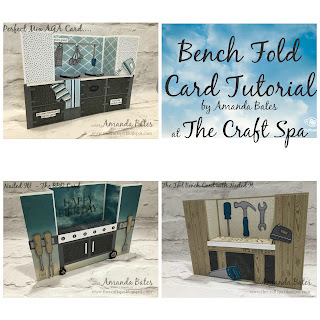 This is a CASE of a card by Julie that was inspired by a Shaker card by Allie…. but I had already CASED Allie’s Shaker card on a notecard!! It is so good to share!!! Don’t know if you can spot the dots behind the greeting…. nope not Gorgeous Grunge, not Work of Art – Look carefully….. funny how they look the same as the baubles on the right hand tree!!! Yup… Festival of Trees splodges this time…. Now this last card is not a CASE of another of Allie Joliffe’s card that I just had to CASE. It is actually a swap card made by Allie herself…. I let out the biggest squeal when it was passed to me in our Christmas swap session – as it was one job off my To DO list the following day!!! Love it when that happens!! Thanks again Allie…. Clear Block stamping plus silver embossing and a scattering of sequins makes for a simple but very effective card…. I did something last week that I haven’t done for ages! I opened up my new Endless Wishes stamp set , got 4 ink pads out, gemstones, a few notecards, and some standard card blanks/mats…and just had a few hours play-time. Thoroughly therapeutic!! Most of the cards are re-makes of popular class cards from the last 2 years, some are CASED or inspired by fellow team mates – and one is a swap card from a fellow team mate…! And even a few new ones too…. So why Part 1….well I made so many that just one post is not enough!! So first of all, the notecards…no equipment required. Just grab a pack of SU! small white notecards and envelopes… and create! For 2 seconds more per card…. Maybe a minute more… as there is a bow… another of my favourites! And just on one or more of them…. Remember to come back tomorrow for the 2nd instalment…..
Had to pop on and share this Clean & Simple card this week. As… there are 3 Paper Piercing Packs with 25% off this week on the SU! Weekly deals. All down to £5.44 from £7.25 RRP. The Occasions pack was used here…. This is a card we made in classes back in July – a few ladies had bought the Work of Art stamp set – so I set to and made some cards with it! And developed a love for the Work of Art & Fabulous Four stamp sets …but more on that another day…. But also a love for the new In Colour Lost Lagoon paired with Soft Sky… which is definitely continuing on till Christmas!! And here is another version…. which actually came first… as I created this card to showcase the amazing ability of the new In Colour Blackberry Bliss to keep stamping as no other colour can!! The chevrons were not re- inked between stampings…it just kept going and going…. easy peasy! Spot the piercing around the heart aperture…… that is where the piercing pack comes into its own…. But the Lost Lagoon one is definitely my favourite version…it has a dream like appearance in the flesh…… love this card!!!! And here are all this weeks Weekly Deals – some great products there….. check out all those dies too…. those Window Frames have been my most used for the past few months…..
Free Postage…. Clearance Rack updated today! And new Weekly Deals too…. And new Weekly Deals from today until next Tuesday 30 September too…. 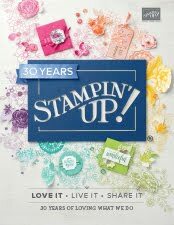 However if you have birthday money or are otherwise feeling flush and are placing an order over 150….. Don’t enter that hostess code… claim your Stampin Rewards instead… and I will still refund that postage for you…. Note – this extra deal is from me, Amanda at The Craft Spa – NOT Stampin’ UP! Wondrous Wreath with more WOW! Before I got my Wondrous Wreath set… one of my ladies commented that the wreaths appeared “flat”on the samples she had seen on the web… so I set to to give my wreaths a bit more life…. But then I went the whole hog… so this card has every leaf glossed up… and boy does it shine and pop off the card! Definitely not flat! You just need a bit of patience – but it does makes great therapy! In fact I didn’t stop there… even some of the flowers are “glossed up” too…. A quick tip for you today…..
A lightbulb moment hit me… obvious really but…. stamp the “few leaves”… then overstamp with the “lots of leaves”…. really easy to line everything up that way…. a lot quicker – and a slightly softer effect too…. And so onto today’s card…..
OK OK… the more observant of you will have spotted that the “to the world” greeting is from a retired set from last year… and some fellow Jems will recognise this card from my Inspiration display a year ago! Yes…new year…new wreath… that is all I am going to say!!! The large letters are sponged through the alphabet masks in the Build A Banner Simply Created Kit which was re-released in this years Annual Catalogue. Great banner – but this kit is highly recommended just for the masks!! The flower is in the Wondrous Wreath stamp set – along with the matching die in the Wonderful Wreath die set…. The wreath on the card was created before my lightbulb moment…. oops…. lining up not quite right!!! Come back tomorrow for another tip to give this wreath some extra dimension….. Very quick share today! Following on from yesterdays post…. here is another Clean & Simple card using the Wonderful Wreath & Wondrous Wreath stamps and matching Framelits. Not only do the Framelits cut the wreath… but the words Joy and Noel too… as well as the lovely red glimmer bow used here…. Come back tomorrow for some tips on using these stamps …. I discovered an easier way of lining everything up….. This month’s workshops & classes focus on cards that are suitable for Christmas – or suitable for another occasion – given just a change in sentiment or colours…. Lots of my ladies have the school summer holidays off from papercrafting… which results in 2 requests for September… Firstly, to keep the cards simple to allow them quickly & easily back into the swing of things!! Secondly, even though my September classes are all about Christmas cards suitable for mass production - their stocks of birthday cards & other occasion cards run out … so this year I thought I would plan around their requests!! Less running upstairs for me!!! So here is a clean & simple card that does just that - using the Wondrous & Wonderful Wreath stamps & matching framelits. Spot the detail…. Crystal Effects is applied to the red berries for the Christmas one – and to random leaves for the birthday one… little thing…big difference…..
Here’s the snapshot! Click on the snapshot for more product information. Or here for more details on Weekly Deals. Some great items at 25% off this week. Have to highlight the 2013-15 In Color Markers as there are so many favourite & much used colours in there and I know that many of you have been itching to add them to your stash! So now you can for less! Coastal Cabana, Pistachio Pudding, Crisp Canteloupe, Baked Brown Sugar & Strawberry Slush. And we have 2 stamp sets this week….. both in the Wood Mount option… Some of the wording from Yippee Skippee has been really popular and Happy Hour was a favourite for Christmas cards last year – though useable all year round…. So here are a few projects using these stamps from the archives!! Though typically I can’t find the Happy Hour christmas card I was looking for…..
And don ‘t miss the boxes whilst they are on offer…. here a few we made last year…. Right onto sharing wreaths now…. Following on from the Christmas version I posted yesterday…here is a New Home version that I needed to quickly make for good friends just settling into a New Home. Delighted to say that this accompanied some SU! crafting goodies – so yes Alison… I will quickly move onto some cards using the Wonderful & Wondrous Wreath very soon!!! As it was SO important that I got Alison’s crafting goodies off in the post quickly….. I made myself keep it very Clean & Simple – but I did get the chance to use my new FAVOURITE background stamp….. I Love Lace…oh yes I do!!! It is SO beautiful stamped in Whisper White craft ink on any cardstock colour – albeit very subtle when stamped on the more subtle colour ways…. I think everyone has picked up my display cards using it…there is almost a texture to feel….